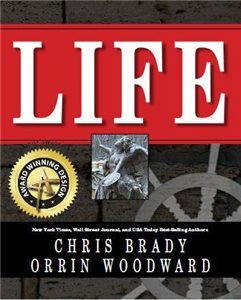 I am such a huge fan of the book,” LIFE- Living Intentionally for Excellence”, masterfully written by Orrin Woodward and Chris Brady. There’s no question in my mind that this book has helped countless individuals by offering powerful, inspiring and motivating leadership articles and quotes. There are so many inspiring stories in this book. One of my favorites is, “We don’t know what we don’t know”. For those who have not had a chance to read it, here it is. Thank you Orrin and Chris. Great leaders are the first to admit they don’t know all the answers. You may have heard it said that we don’t know what we don’t know. Also, we have forgotten a lot of what we used to know. Worse, however, is the fact that we know a lot that just isn’t so. Beware those who think they have a lock on the truth, who push their agendas on others with arrogant disdain, and who are blind to their own failings. The greatest leaders don’t make these mistakes. They know they don’t know all of the answers, and that is part of what gives them so much hunger to learn more. Where most give platitudes, great leaders give their own example. Seasoning and experience are keys here. This is because youth tends to be wrapped in untested confidence. Age, however, can bring cynicism and surrender. Somehow, the best leaders navigate between these two and proceed confidently but humbly. It is a fine line, indeed. So, lead bravely. Go boldly into new territory. Just make sure you’ve got control over the most rebellious follower of all: Yourself.